During the 1960s, Rock-n-Roll came into its own as a leading force in the Pop music world. A time when many UK bands rose to international fame, one which stood on their own were The Moody Blues. 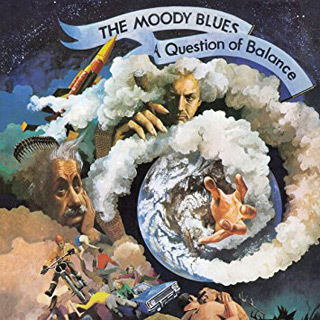 Initially debuting in 1965, with the more R&B influenced The Magnificent Moodies album, introducing new members to the band shortly thereafter, the direction and course of history for The Moody Blues would change forever. Progressive and unique, they would go on to sell over 70 million albums worldwide, attain 18 platinum or gold-selling albums, and finally earned a rightful place in the Rock and Roll Hall of Fame in 2018. A long overdue induction, The Moody Blues remain immersed in touring and bringing 50 years of their music to sold out crowds around the globe. 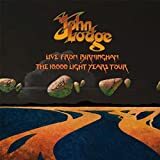 With no lack of inspiration, amidst it all, key member John Lodge has kept busy, releasing his new solo album, 10,000 Light Years Ago, in 2015, and more recently, Live from Birmingham: The 10,000 Light Years Tour in late 2017. A piece of music he is proud of, on the heels of The Moody Blues shows, Lodge is set to continue solo touring, and with it he brings a treasure chest of surprises to audiences. 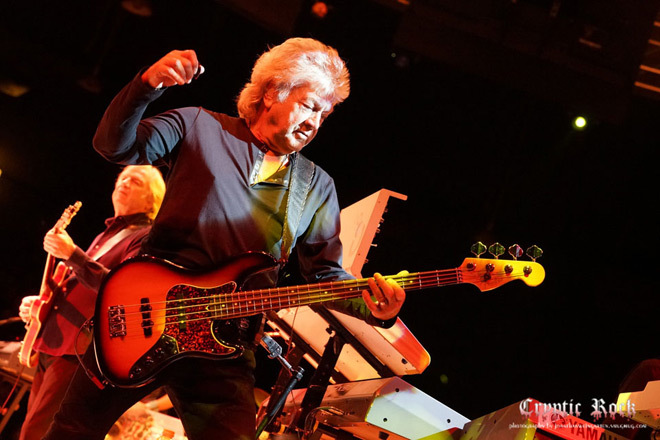 Energized and ready to rock, Lodge recently took the time to chat about the years gone by with The Moody Blues, the work behind his most recent music, what to expect from his solo performances, the potential of new Moody Blues music, plus more. 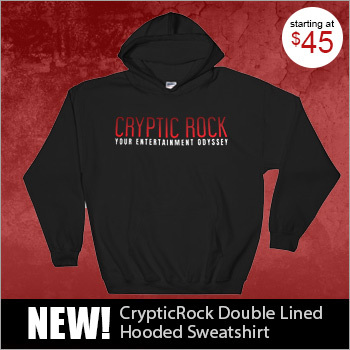 CrypticRock.com – You have been involved in music essentially your entire life. 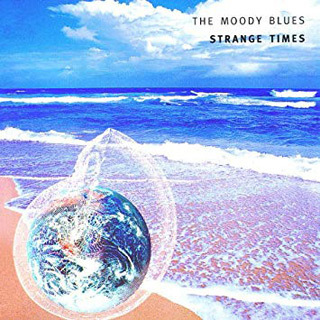 With that in mind, The Moody Blues have been established for over five decades, sold multi-millions of albums, toured all over, and are no question one of the most influential Rock bands in history. Briefly tell us, what has this Rock-n-Roll journey been like? John Lodge – Amazing! When I was 12-13 years of age I got my first guitar, I paid about 10 dollars for it. I learned to play the guitar, and there was no one in England at the time who could show me what Rock-n-Roll was about; I just tried to find out how it worked. At the time, I watched so many American television shows/movies and tried to watch how people were playing guitars. That is how it started. The journey has gone from there all the way through to double concerts at Madison Square Garden. It’s just been an amazing journey! It’s all down to the music. I love Rock-n-Roll, I loved it from the very minute I heard it for the first time. That’s who I am, really. CrypticRock.com – It sounds like it has been a wonderful experience. 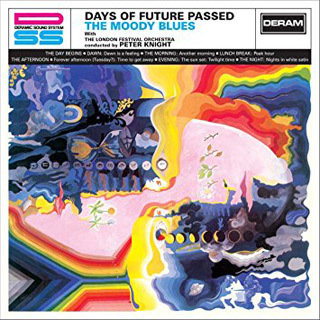 As far as the sound and style of The Moody Blues, it has always been rather unique – utilizing various symphonic elements at times. The debut album, 1965’s The Magnificent Moodies, was more of an R&B/Rock album. You joined the band shortly thereafter. What inspired the band’s shift in style? John Lodge – I think at that period in time The Beatles had just made it. The late Ray Thomas, the flute player of The Moody’s and I started together when I was fifteen years of age. We actually played with The Beatles who had just recorded “Love Me Do.” I think as The Moody Blues got together as a band and recorded the Bessie Banks’ song “Go Now,” it was such a beautiful song. But, of course, at that period of time all the bands were wearing the same suits, every band had to look alike; it was Pop orientated. To be honest, 1966 came, where The Moodys were no longer a viable option; the record sales were gone, and of course they had a huge hit with “Go Now.” When Justin Heyward and I joined the band in 1966, I already played all the songs I wanted to do by other artists. I loved that, that was a learning curve for me. Learning to take someone else’s song and transpose it to something I may have written or how would I have liked to play it different. So when we came together in 1966, the first thing we did was throw away the suits we were wearing; we decided to wear the clothes we wanted to wear as musicians. On top of that, it was to write our own songs. Up until then, most artists, especially in the UK, were covering American songs. We just wanted to write our own music. I think we started off Rock-n-Roll and Blues. Blues is about where you grew up and the environment. We said, “Hey, we should do that ourselves, but let’s make it English Blues. Let’s talk about where we grew up, all the inhibitions and pressures.” We transferred that into our music and I think that’s how The Moody Blues music came along. CrypticRock.com – It certainly worked out well, you have created some classic music through the years. If you look at the history of the band, it has very much been a collaborative effort as songwriters. Has it been a challenge through the years to decide whose songs make it on the albums, because it seems each member writes? 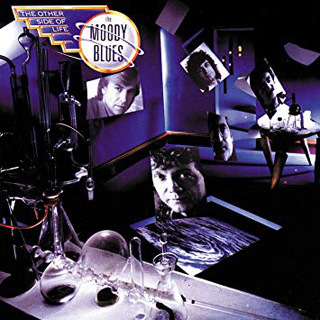 John Lodge – We all come from different places, this is a very interesting thing about The Moody Blues. Because we all have our own independence as musicians/songwriters, we would sit down and discuss how we wanted to make an album and what we wanted the album to be about. When we came up with a rough theme, we all had a different interpretation of what that theme was. It just really worked well for us. I come from Birmingham, and it is a heavy city of Rock-n-Roll, but it also has an incredible history of orchestras. Although I came from really wanting to be Rock-n-Roll, I think over the years growing inside of me, Classical music would really come across the airwaves. When it came to write songs, my songs would be Rock-n-Roll with semi-Classical interpretation through the chord structures. When Justin wrote a song, he probably came from a Folk era type of song. When Mike (Pinder) wrote, he probably came from the sort of piano part of writing songs. Where Ray (Thomas) came from writing a song, he came from playing the flute. We all came from a different way and we all contributed. If I could give you a little insight to how we did this, when we came into the studio – we still have it actually, we had a coffee table; we used to sit around there and talk about a song. If I had written a song I wanted on the album, I played it to the rest of the guys when we sat around that table, and everyone around that table would put their interpretation into that song. As soon as you played the song to the rest of the guys, it really became a Moody Blues song. You had total faith in the rest of the guys that they were going to be as creative as they can be in making that song work to its highest degree. CrypticRock.com – That is a fascinating way to do things, and all the different influences from each member is what make The Moody Blues’ music special. CrypticRock.com – Yes, and Buddy Holly was a wonderful songwriter. Beyond The Moody Blues, you have worked on other projects. In fact, you released a new solo album in 2015 entitled 10,000 Light Years Ago. This was in fact your first solo album in nearly forty years. What inspired the new album? John Lodge – I was just sitting around and thinking about, I love performing, I love recording, but the recording industry has changed so much. Suddenly, I started to see the re-emergence of 180 gram vinyl records. I thought, “I really want to make a new album, but only on vinyl.” That is really what it was. I am always writing songs anyway, so I thought I have the songs to make an album. It was just a case of, I didn’t want to go to the studio, because studio for me, over the last few years prior, was not boring but very time-consuming; the creative part was probably only 10% of the time spent in the studio. Most of the other time is supposed to be quicker, but it’s not. You need to capture people who are going to add to your songs when they are in their most creative part. I thought about this for a long time, and I suddenly realized everyone I wanted to work with had their own studios. I thought, I wonder if I can get this to work by me writing the demos and sending them to my musical director, Alan Hewitt. He put out the proper basic file, then I asked the drummer to put the drums on from his studio. We made lots of changes, of course, until we got a final drum pattern that we really loved for the songs. Then I sent it to my guitarist, Chris Spedding – “When you’re ready to create, would you play on the album?” He said, “Yes.” He was touring with Roxy Music and Bryan Ferry at the time, so when he was ready to create, he recorded. Eventually I ended up with an album in files only. Then I booked a studio for two weeks with Alan Hewitt in Florida. Went into there, I put all the acoustic guitars, bass, and all the vocals on, then we mixed it. I loved that way of working because, for me, everyone was creating exactly when they thought they were in a creative mode. We ended up with the album 10,000 Light Years Ago. I had written the song, I knew the album was going to be called that. I knew that is what the album was going to be about. I recorded that, then I went off to the UK, and very first last concert at Birmingham Town Hall, I recorded Live from Birmingham: The 10,000 Light Years Tour, which was released in October of 2017. That is what I am touring now. 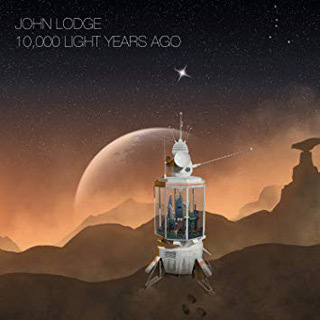 CrypticRock.com – 10,000 Light Years Ago is an excellent album, musically and production-wise. It can translate to a younger audience, as it sounds fresh and modern without following any trends. John Lodge – Thank you very much, I was hoping it would! Obviously I listen to music all the while, I have a wide spectrum of music I love. I didn’t try to copy anyone, but I really wanted to get back to the essence of the thought process of how I recorded my songs from In Search of the Lost Chord (1968) and Seventh Sojourn (1972). How do I do that so it’s fresh and not taking safe moves? 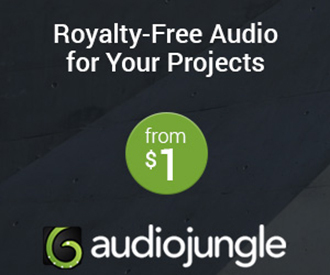 CrypticRock.com – It worked. With The Moody Blues you are continuing to tour through the fall, but in between, you are doing solo dates in support of 10,000 Light Years Ago. Included is a stop in New York City on October 17th, among other shows. What is like for you to get out and perform solo? John Lodge – I really enjoy it. I have a wonderful band; I am so pleased with them, I am really excited about them. For me, what is good about doing solo work is I get to play songs that were part of The Moody Blues, but have never been on stage before. 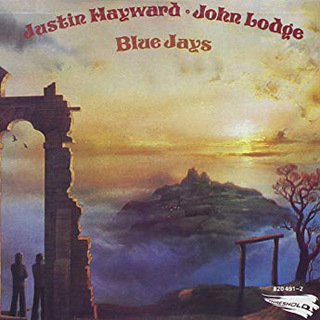 Also, to be able to perform songs from the Blue Jays (1975) album like “Saved by the Music,” I have never done that with The Moody Blues. Also songs like “Candle of Life,” those are songs that would never see the light of day on stage otherwise. Also, for this tour, I have a couple of surprises as well for everyone. I am looking forward to doing that. 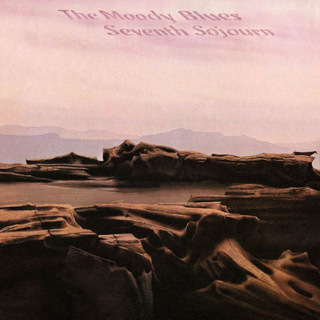 These are songs you are not going to hear The Moody Blues do again. I really want to play some songs that will hopefully take everyone by surprise. I am looking forward to the City Winery show in New York City. I have a day off the following day, so after the concert I will meet a few people and say hi. CrypticRock.com – Wonderful! It will be exciting to hear and see material you will not hear otherwise. Also, when you are playing with The Moody Blues, you are playing larger venues. With this, you are getting to play more intimate venues. That has to be fun for you? 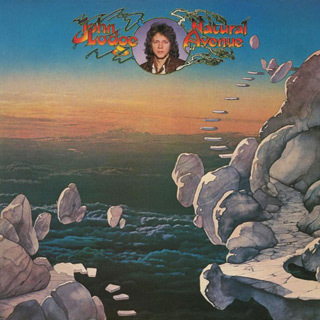 John Lodge – It is, because it really takes me back to how we started. To be honest, when you are on stage with a very intimate audience, you are standing there pretty naked really; because it’s just you and someone who is five feet away from you. It’s really good because I like to have a relationship with an audience; I think it’s really important, I don’t want to be aloof from them. I’ve always said, I wrote the song “I’m Just a Singer (In a Rock and Roll Band),” but at the end of it, the lyric is actually, “We’re all just singers in a Rock and Roll Band.” I want everyone to be part of the music, that’s what is very nice about being in an intimate venue; because we are all part of that music, it is just some of us are on stage and some of us are not. CrypticRock.com – Yes, and the connection you have with the audience is what makes the music stronger. Everyone has their own interpretation of the music and it can take people back to a place and time in their life based on those connections. John Lodge – Yes, it’s the same for me. I have flashbacks to different songs. Not Moody Blues songs, but songs I grew up with. I go: “I remember that, I remember where I was, I remember kicking the jukebox because the record kept jumping.” (Laughs) You do remember! I think that’s what is wonderful about music that gets into your heart and soul; you can relive it: it’s not nostalgic, it’s something that makes you feel excited, rejuvenated, and gives you strength. CrypticRock.com – Most certainly. With The Moody Blues touring, your solo tour, and your new music, you have been very busy. With touring as heavily as the band does, is there a possibility of some new Moody Blues music? John Lodge – To be honest, I don’t know. I think if a record company got really excited; I think if you have a record company that is really excited and really believes in music, not just to make a quick buck. We were really lucky from day one, we had people that were real music people all the way through 2000. They were real music people, then they all disappeared. 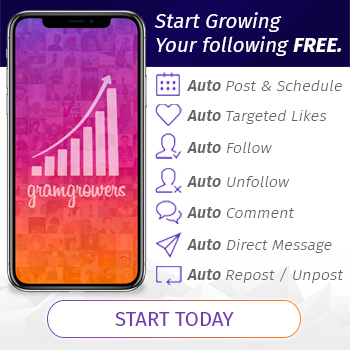 Finding people who love music, who want to be part of it – but not from the performance point of view, or even your point of view – but people who want to motivate and promote music for music’s sake; not for how many Spotify hits they can get or how many records they can sell. CrypticRock.com – Very good point. We will see what happens, hopefully something will happen. John Lodge – I would like to make a Moody’s album. 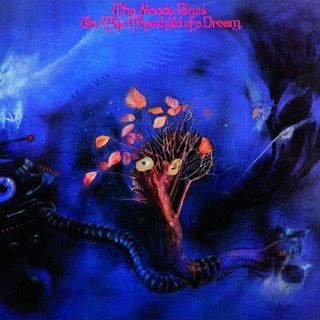 If we had the right record company come along that was really excited about it, I think there would be a Moody Blues album. To go into the studio, it’s an incredible amount of work. We talked about my latest album – it was two years in the making really. In the early days, in two years, we would have made two Moody Blues albums. It is a lot different. CrypticRock.com – Yes, times have changed a lot in the music business. Last question. CrypticRock also covers movies, particularly Horror and Sci-Fi. If you are a fan of either genre, do you have any favorites? John Lodge – I am actually into stars, NASA; I love all of that. I was very involved at one time with the UFO Society out of Arizona; that was all really good times. I grew up with all of that, as well as Science Fiction; I just love it. CrypticRock.com – Very cool. And your daughter, Emily Lodge, is a filmmaker, yes? John Lodge – Yes, she has made television series and she was involved with a great movie called Brassed Off (1997) – which is very English, but a very big cult movie. She was looking after Michael Palin from Monty Python for the series Michael Palin’s Hemingway Adventure. She went to George Lucas school and did a master’s degree in Fine Arts. I have a very creative daughter. My son is in marketing in America, he looks after my website. We are all a big family here.